Last fall two bloggers stumbled upon each other out here in the blogosphere. One had been chronicling her life via blog for a number of years; the other had been blogging for a couple of months. Both had only recently begun writing about their adoption journeys. Over the months, Mimi of Complicated Melodi and AdoptiveBlackMom (ABM) found they had a lot in common and shared a strong desire to give voice to women of color interested in adoption. In December, Mimi wrote a great piece called, “Infertility, Adoption and The Best Man Holiday.” ABM commented that they should write a movie; Mimi replied that she had something else in mind! 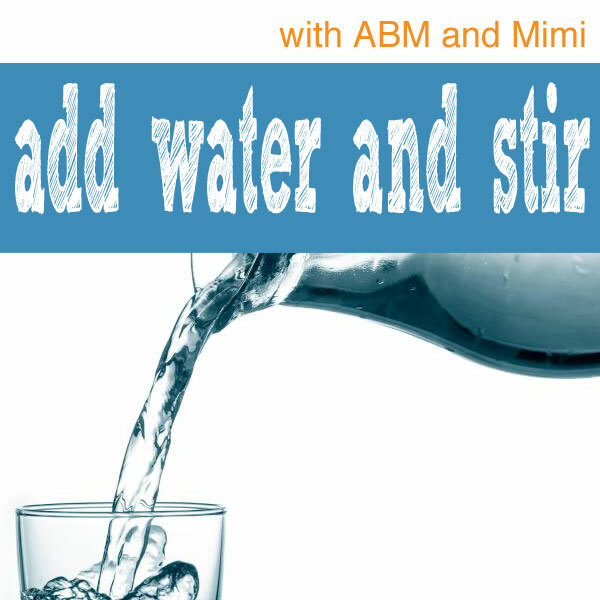 Well, nearly 7 months, one dissertation, two adoptive placements, one finalization and lots of life adjustments, we’re delighted to announce the launch of our new podcast, Add Water and Stir! Add Water and Stir will focus on promoting adoption within communities of color, especially within the African American community. We want to give voice and visibility to families like ours who often seem left out of mainstream adoption conversations. We hope to educate others as we talk about our struggles and triumphs of parenting adopted children. Of course, there will be time for Mimi and ABM to kick it about all kinds of not necessarily adoption related topics as well. So, join us for our first live podcast on Thursday, June 26th at 10pm EDT/9pm CDT on Google Hangout! (You can RSVP or just find us live by clicking the link!) Podcasts will also be available on YouTube and Itunes the day after the hangout. We’re open to suggestions about topics from our blog followers. You can leave them on either blog in the comments sections or drop us an email at our respective email addresses! Come hang out with us every other Thursday. 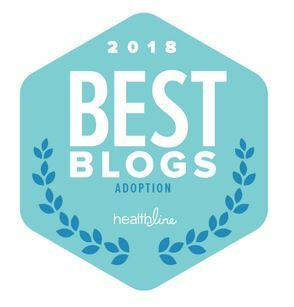 This entry was posted on Tuesday, June 24th, 2014 at 9:52 am	and tagged with adoption, Adoption Blogs, Adoption in Communities of Color, Adoption Podcasts, adoption support, African American Adoption and posted in Other Stuff, Support Group. You can follow any responses to this entry through the RSS 2.0 feed. I’m so excited for you guys, and love what you are doing!!! I’ve always felt that while on the one hand color doesn’t matter, on the other why should we be adding obstacles in these poor kids lives when they already have enough obstacles to deal with? Because while color doesn’t matter in the sense that we should all be able to love each other no matter our skin color, in reality color does matter as part of our identity. And while I love the transracial and multiracial families (and technically we are one! ), I also love it when a kid can fit right in and the people passing them on the street don’t even blink because it’s so obvious that they are a real family. That’s the direction we went. There are so many Black and White and Asian and Hispanic kids who are just needing a family and I could love them all! But we focused on the White/ Hispanic mix because I’m White and my hubby Hispanic. And it’s totally awesome. I love that you gave Hope that same type of family – one where the points you have in common are even greater because you have skin color (and with that comes a culture) in common. Good for you in promoting this so that even more kids have this option. And for getting word out there so that others who can relate to you will identify with you and take the next step towards giving a child the family they so desperately need and want. I’ll have to check out the podcast later as I’ll be in a no/bad-internet zone on Thursday (yes, those still exist). Good luck to you both!!! Thanks Instant Mama! I recognize that Hope and I have a certain amount of privilege in an same race adoption story. It’s been interesting to watch Hope lay down that privilege as she chooses to tell her story sometimes. There are lots of kids from all backgrounds who need homes and I’m all for dynamically racial/ethnic families. I’d just like to see more Brown and Black folks in formal adoption settings (we often see them in informal adoption stories); I found myself missing in most of the brochures I read and the conferences I attended. I’ve found some other bloggers like me and Mimi, but we’re a rare find apparently. So hopefully, moving into this new space will bring more attention and recruit more families! ** Dances all around this post ** When I first started looking for POC adoption experiences I found almost nothing. I don’t even remember how I found your blog but I do remember that after binge reading the entire day I hopped to the blogs you follow which lead me to Mimi’s blog. It really has been a big help for me. I haven’t started the process yet, but just being able to read that it is possible and you can successfully navigate it and build the family you want is VERY encouraging. I’m so excited for you guys and I can’t wait for the first podcast! LOL, I so love your joyful spirit, Future Adopter! 🙂 I’m glad that you found that our blogs resonated with you. I follow you and it’s been great to see you explore and figure out your path. I can’t wait to see where your journey takes you! I hope the podcast will augment my corner of crazy! Thanks! This is fantastic! Anyway you can encourage formal adoption, as you say, by parents of color would be so great.